Simple was the word of the day!! Colors came from the dsp itself: Mango Melody, Pineapple Punch and Gray Granite. The sentiment was stamped then cut out using the Big Shot and the retiring Bunch of Banners Framelits. I cut the banner out twice -- once in Whisper White, and then again in Gray Granite for the "outline" piece! The ribbon is tied around the middle piece--mini glue dots were used to hold the bow in place! Enjoy!! Have a great week! Tags: Best Route DSP, Birthday, Framelits, Itty Bitty Birthdays, Ribbon, Stamp with Tammy, Stampin' Up! My stamp ladies were so funny -- the instructions were to "stamp, cut, emboss" (meaning: stamp the sentiment, cut out the large gear die and adhere it, then emboss it with the subtle embossing folder). You could hear them all afternoon, whispering "stamp, cut, emboss" to themselves! haha!! If they said it in the wrong order, someone would correct them! Have I mentioned how much fun this last stamp club was?! The ladies are awesome! Use Big Shot with the 2 ⅝” x 4” Rectangle Stitched Framelits to cut out rectangle from the Early Espresso cardstock. Place Early Espresso on the Whisper White cardstock for placement and stamp the horse through the frame using Memento ink. Stamp greeting through frame using Early Espresso ink. Use Smoky Slate, Crumb Cake, Bronze and Calypso Coral Stampin’ Blends Markers to color horse. Use the Old Olive Stampin’ Blends Markers to color the grass. Take a piece of Crumb Cake Nature’s Twine to tie a knot on the Early Espresso frame. Adhere Whisper White layer to Old Olive cardstock. Attach Early Espresso layer to card using Dimensionals. 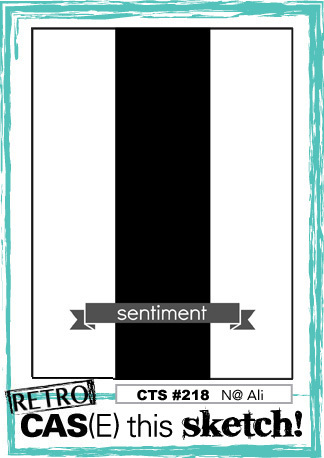 Tags: big shot, Big Shot, Let it Ride, Masculine, nature's twine, rectangle framelits, Stamp with Tammy, stampin' Blends, Stampin' Up! This set really is a fun one! LOVE this sports/muscle car!! And the designer paper coordinates so well!! This is one of the cards we're making on Sunday for my Stamp Club!